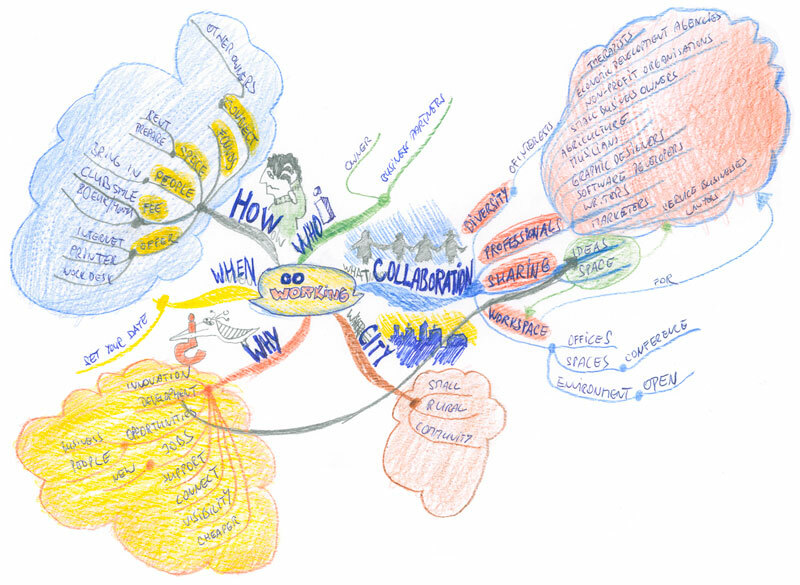 Surely many of you experimented with creating the Mind Maps. Sometimes it it not easy just start. You have your problem, you search for solution, but the thoughts are scattered and too vague to extract reasonable keywords. What then? Ask the 6 basic questions that help you to create basic structure of your Mind Map! In the image above you can see how I used these questions to get a basic structure for understanding the idea of co-working space. It was just a phenomenon I was interested in at one point and I gave it a thought. To make a clear and simple scheme of it I decided to record all available information into Mind Map. The information I got were abundant, I just lost control of what I am really reading. I decided to start with 6 questions and I sorted the information according the questions and quite easily I got simple and clear structure. Now it was easy to comprehend the content and retain it for future use deep inside my brain.